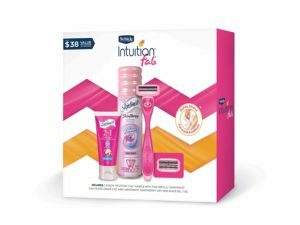 Amazon has Schick Intuition F.a.b. Razors for Women Gift Set for $6.76 with free shipping. Gift Set Includes: 1 Intuition flab. Razor, 1 Razor Blades Refill, 1-2 Ounce Intimate 2-in-1 Shave Cream and 1-7 Ounce Intimate Dry Skin Shave Gel.